I have just received a Fein Dustex/Turbo 25. After such wonderful recommendations and a terrific reputation, I am thoroughly pissed off and hoping for some help. Firstly, it comes with perhaps the worst documentation ever. The "manual" is a comic, and this contains NO written instructions. The parts are not numbered and have no reference to text. Consequently I do not know what half the (many) parts are used for. For example, when does one use what filters? Secondly, it did not come with the paper bag that is in the illustration. 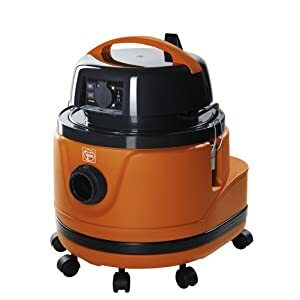 Can the vacuum cleaner be used without the paper bag? I do have a Dust Deputy as well. There is a extremely large fabric-like container (looks like a bowl) that fits over the pleated filter. When is this used? Does it replace the paper bag? It takes up a lot of room - how does one (can one) use this and the paper bag at the same time? Last edited by derekcohen; 07-21-2010 at 02:57 PM. Sorry I can't help Derek, as you've been so helpful to all of the woodworkers around the globe with your insights. I suspect this is a model that we Americans don't see, so I'm no help at all. Good luck, and I'm sure someone will chime in soon with directions or verbal instructions. Anyhow, the big cloth bucket is nothing else than a filter. Drop it into the subbase, fasten the motor on top and you are ready to roll. The dust, will stay between the bucket and the filter.